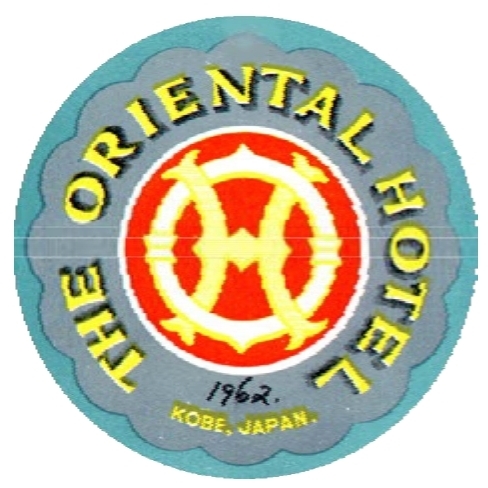 The Osaka schedule gave us a night’s lay over at the Oriental Hotel in down town Kobe. Although the establishment had a comfortable atmosphere the road trip from Osaka Airport proved an obstacle course not recommended for the faint hearted. Apparently, our driver had failed the wartime Kamikaze syllabi and felt fate had given him another chance to terrify his country’s erstwhile enemies. He succeeded! We signed the hotel register with shaking hands and apparel needing the urgent attention of a laundry. Later we were accommodated in Osaka City itself yet most preferred Kobe for many reasons. As a seaport it had an International tinge with the commercial parts centralised, the majority of the population spoke English, and the nightlife catered to the foreigner. 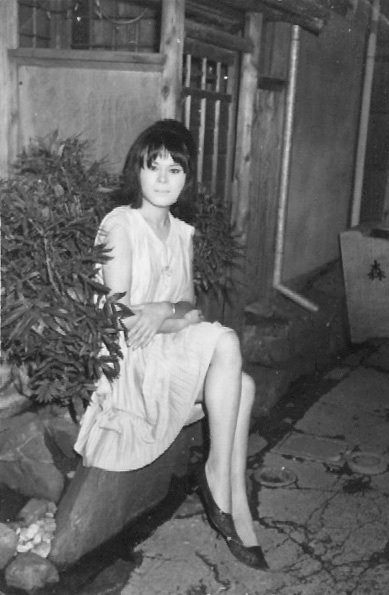 Interesting memories arise of a strange night-haunt hidden away in the Fukuhara blue light district. This experience began when I showed compassion for a first officer who needed two take offs and landings to preserve his type endorsement. It seemed none of the other captains would let him touch the controls. I unknowingly ingratiated myself by giving him the entire flight to Osaka. This included two interesting take-offs and two astonishing landings. Proof that the Company’s other captains were far more perceptive than I! Later we were accommodated in Osaka City itself yet most preferred Kobe for many reasons. As a seaport it had an International tinge with the commercial parts centralised, the majority of the population spoke English, and the nightlife catered to the foreigner. 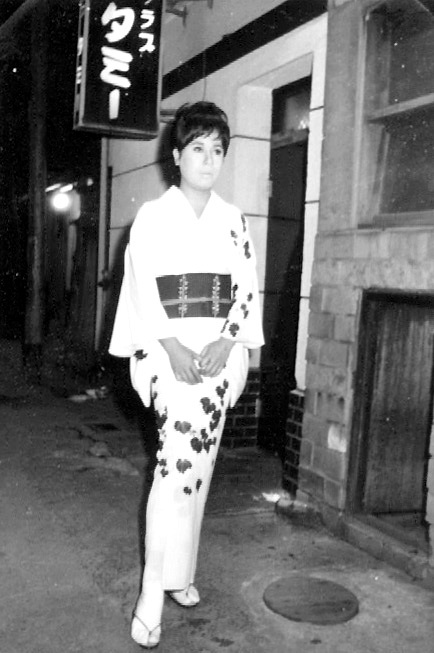 Interesting memories arise of a strange night-haunt hidden away in the Fukuhara blue light district. After we had booked into the Oriental he drew me aside and bubbling with gratitude he offered to take me to a bar somewhat out of the ordinary. This was indeed an honour, for he had a reputation for secrecy and shared little of his private life - and none of its sexual interests - with colleagues. Furthermore he had a yen (no pun intended) for the company of Japanese gays. With magnanimity I shrugged - his sexual preferences did not concern me. through a door that needed a replacement light bulb. Once inside, Tammy greeted my guide with obvious pleasure, and me as an honoured guest. We had the place to ourselves. 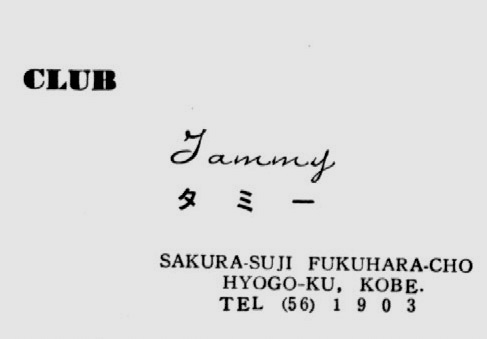 Club Tammy seemed to run on established lines and was managed by one addressed as the Mama-san. But, there normality ended for the hostesses were males who the course described as trimmed and shimmed. 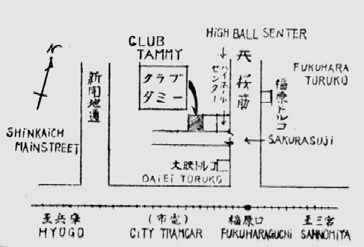 The Club’s star or Principal Boy, my guide’s preference of address, went by the blithe name of Pinko-san. My guide whispered into Tammy’s ear, she whispered into Pinko’s ear and so began an astonishing strip tease that stopped momentarily at a minute pink beaded fringe. Pinko possessed the figure of Venus, peerless in every nook and cranny. How could a mortal surgeon do such glorious work? My guide assured everything still hidden equalled that on view, and smirked, even the odour, and to show his gratitude offered Pinko for my private inspection and pleasure. This obviously was a great sacrifice shown by his child-like relief when I graciously refused to deprive him of his evening’s enjoyment. As a face saving exercise I showed a partiality for the Mama-san until a growl came from a dim form crouching in the Club’s darkest corner. A quick flash of light showed I had barked up a forbidden tree. I pondered whatever qualifications Tammy’s minder needed. Certainly not a handsome countenance, for any respectable Neanderthal would take umbrage at a comparison. I escaped pleading a headache - a malaise accepted without question! Club Tammy's star. Pinko-San in greeting clothes.